You can manage your interfaces via the Cisco Adaptive Security Device Manager (ASDM). This is done via Configuration > Device Setup > Interfaces. The Cisco ASDM delivers world-class security management and monitoring through an intuitive, easy to use management interface. As ASDM is a client, it can run on workstations, desktops, and laptops. 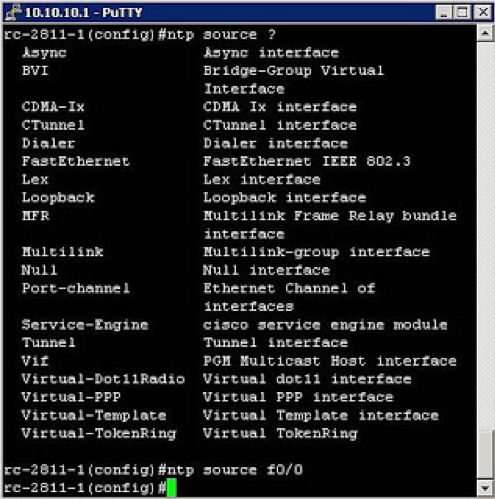 The Misc: tab on the IP Plan contains specific instructions and links for downloading the Cisco ASDM client. Once behind the firewall via VPN, you can access your environment either via ASDM or by Secure Shell (SSH). A DMZ is a server reachable by outside IP addresses, but which can also communicate with inside IP addresses, too. It provides a method of communication between inside and outside IP addresses. Customers ultimately define their own DMZs. This can be also be configured via ASDM. Firewalls can log how they handle various types of traffic. For forensic purposes, information like source and destination IP addresses, port numbers, and protocols can be invaluable. However, the downside of logging is that the size of log files can quickly become unwieldy. Because of this, MacStadium has logging turned off by default. However, you can easily change and configure this setting to capture the details of your traffic. To turn logging on, you will first need to identity a repository for the log information. While you can log to an internal buffer, MacStadium recommends designating another repository as the log file can grow quickly. You can designate this in ASDM via Monitoring > Logging. Customers can also submit a firewall change request via the MacStadium portal to choose a new repository. If you are running CI as a service, we highly recommend porting your log to a separate server. Otherwise, you will eventually impact speed, storage, and performance. We also recommend that if you are an internal-only customer, you simply leave logging disabled. For expert users, the Command Line Interface (CLI) can provide an elegant and convenient option for configuring your firewall. To access the CLI, first connect via your VPN. Then SSH to the IP address of the inside interface found in your connection information available via the MacStadium portal. Site to Site VPNs are designed to connect a firewall to a firewall, a router to a router, or a router to a firewall. With a Site to Site VPN properly configured, MacStadium customers can connect their environments to an AWS implementation or another public cloud. MacStadium supported Site to Site VPN is a standard IPsec site-to-site implementation. Most customers can set that up in ASDM very similarly to how they create other VPN connections, via the VPN Wizard. If your optimum environment requires an IPSec VPN connection, MacStadium supports this method of connection. Be aware that IPSec VPN is no longer supported by Windows post Windows 8. However, Macs still support this method of connection out of the box. For specific instructions on configuring an IPSec VPN from macOS, see How to Setup an IPSec VPN Connection from macOS. MacStadium also supports IPSec VTI. Tunnel interfaces have many uses, including participating in a larger VPN configuration. MacStadium supports a Border Gateway Protocol (BGP) based tunnel. This is the best method for connecting to an AWS implementation. Be advised VTI is not supported on older model ASA appliances (5585, 5540, etc). If you want to have lots of VMS that live on a few IP addresses, you may want to utilize port forwarding instead of the internal public addresses. Port forwarding is a method of making your MacStadium private cloud accessible to specific IP addresses on the internet, even though you are behind a firewall. Port forwarding to VMs must be statically defined on the firewall. You can create custom rules for your firewall as if it was in your own environment. Rules can be configured in ASDM viaConfiguration > Firewall > Access Rules. Keep in mind that rules are processed in order. Unless you are an expert, we recommend that you don’t filter any outbound traffic. If you do choose to filter outbound traffic, be very specific with ALL traffic heading outbound so you don’t inadvertently block legitimate traffic. Start by using a rule that permits everything and then narrow down. You will need both a Network Address Translation (NAT) rule and an access rule working in conjunction, as either alone won’t work. A typical use case would be creating an SSH rule tied to a Jenkins master (if you don’t use a VPN). If you don’t have experience with ASAs, just do a 1:1, where one internal IP address behind the interface is mapped to one external IP address. If DHCP is integral to your solution, you can use a VM on your network to control it. Keeping DHCP on a separate VM keeps your environment safe in case you need to restart your DHCP server. DHCP Relay permits DHCP clients and servers to be placed on numerous networks. The DHCP relay agent will respond to a broadcasted “discover” request and reply to the relay server. It sends the offer back to the DHCP device and sends it back to the original requester. CI/CD projects are by their nature unique, and hence will also benefit from a custom firewall configuration that corresponds to your individual needs. MacStadium recommends putting your build farm elements in private space. This allows environments to grow and shrink on demand. Another reason to place these elements in private space is that a lot of CI/CD traffic is necessarily east/west. If they all live in the same VLAN, then communications between VMs can be direct and not have to go through the firewall. If you require additional help with your firewall, please contact MacStadium support.